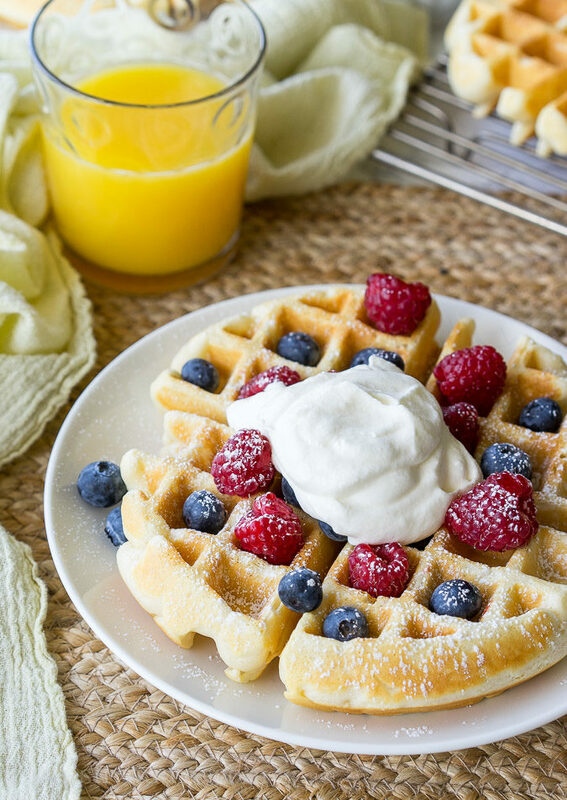 This Classic Waffle Recipe makes perfectly crisp on the outside, fluffy on the inside waffles that are to die for! A couple weekends ago a few of my fellow food blogging friends came to my hometown of St. George, Utah for a little retreat at the gorgeous Coral Springs Resort, which is nestled in the beautiful red rocks, with gorgeous views all around. I was lucky enough to be invited to stay, and even though I only live a few minutes away, I jumped on the opportunity to stay at these gorgeous condos. In a large bowl combine the flour, sugar, baking powder and salt and whisk to combine. In a separate small bowl whisk the eggs and stir in the warm milk, melted butter and vanilla extract. Pour the wet ingredients into the dry and whisk until blended. *To reheat waffles, place frozen waffle in toaster and cook until heated through and crisp on the outside. If using salted butter, reduce the salt in recipe to just 1/2 tsp. Recipe slightly adapted from AllRecipes . 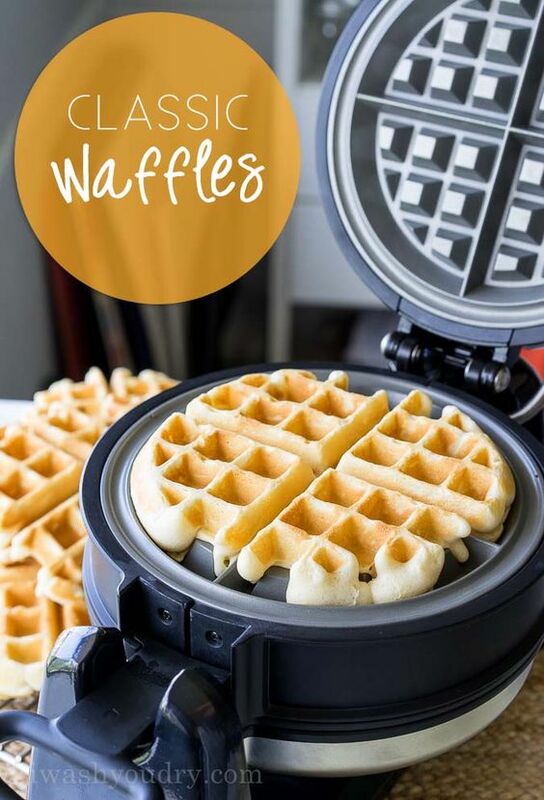 0 Response to "Classic Waffle Recipe"